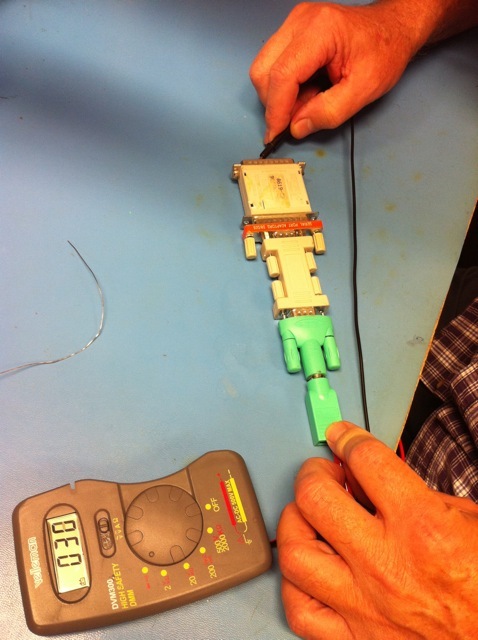 A reader over at Gizmodo sent in this picture of a ludicrous chain of serial adapters. The crazier part is that the reader sent in this screen shot and claims that this chain of adapters is fully operational. It is certainly possible that this screenshot could have been doctored. We didn't believe this would work ourselves so we managed to gather up all the right adapters and form our own Serial Adapter Chain. This one is Busted! 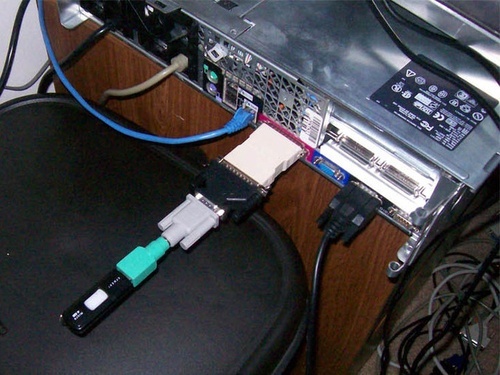 There are a few reasons we believe this would not work, first of all the Parallel Port only puts out 2.5 volts where most USB devices require 5 volts to run. Also there would have to be some sort of driver used to recognize a USB device on this port. It appears the person who submitted the picture may have used a strange driver to get it to show up but there is no way they are talking to the USB Flash drive on the end of that chain.